Are you ... Counting the days till Christmas? Starting late or still searching for a special one of a kind gift? Looking for an alternative to the crowded malls? Shop local, buy local! Stroll along Main Street - Chatham, Falmouth, Hyannis, Orleans, Osterville or Sandwich! Shop for art at Little Beach Gallery, Hyannis; select something romantic at Bedroom I's in Osterville, or for your favorite over 21 guy, a growler at Cape Cod Beer. Browse church fairs for hand-made treasures. Cape Cod & Islands Celebrate Independence Day! 4th of July fireworks bursting over Cape Cod Bay, Buzzards Bay, Nantucket Sound, even the Atlantic Ocean; Parades on Main Street, Band concerts on the green, Community picnics - Cape Cod, Martha's Vineyard and Nantucket offer it all. 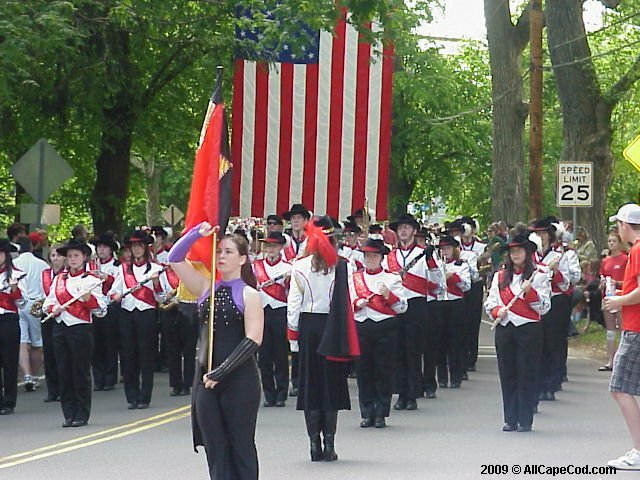 For a fast listing of Cape Cod Fireworks and Parades see our list at AllCapeCod. Cape & Islands - Signs of Spring...? 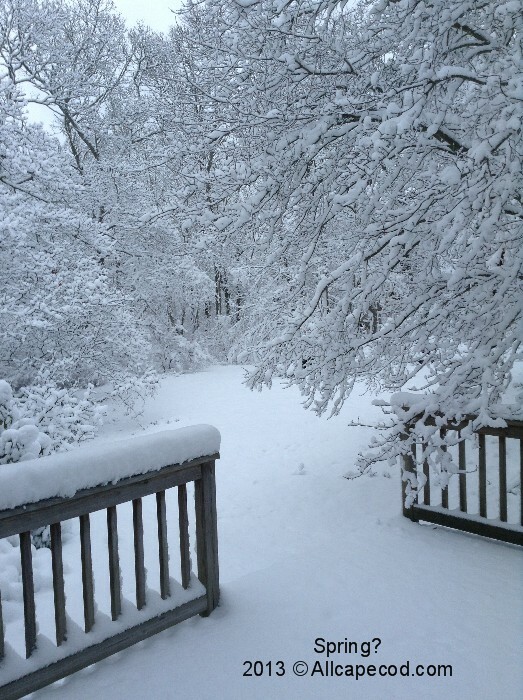 The calendar says Spring, but on the 3rd day all the signs were blanketed under several inches of snow! The crocuses were up, only to sadly buried in snow - hope they survive as this spring snow is sure to melt fast. Cape & Islands - February School Vacation! For most Cape Cod schools, traditionally starting with Presidents day, February 18th through the 22nd is February School Vacation week! Martha's Vineyard and Nantucket public school students will enjoy winter recess the following week. Cape Cod offers lots to do in the winter, both in and outdoors, for Cape Cod kids, as well as visiting families and grandchildren. BLIZZARD WATCH! Thursday, February. 7, 2013- The National Weather Service has issued a Blizzard Watch which includes Barnstable County (and just about everywhere else) from 7:00 AM EST, Friday, February 8, 2013 until 4:00 PM EST, Saturday, February 9, 2013. The big question on everyone's mind is what will happen on Cape Cod & the Islands? Lots of snow, or lots of rain? Will this storm be a record setter like the famous Blizzard of 1978 that hit the Northeastern states 35 years ago today? Will there be No School! next week?